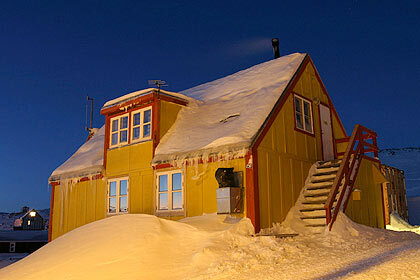 Nanu Travel is a tourist office and outfitter located in the remote high Arctic town of Ittoqqortoormiit, Greenland. We are a small specialist company that is locally owned and uses local guides for unrivalled knowledge and to ensure money from your visit benefits the local economy. 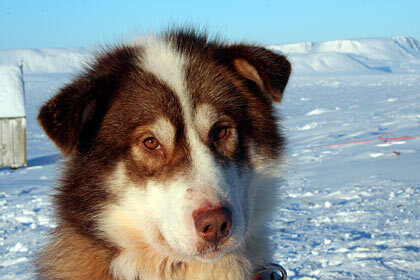 If you wish to go dogsledding in Greenland, Ittoqqortoormiit/Scoresby Sund is an excellent choice! We offer dog sledding, kayaking, survival training, Arctic trophy hunting, Arctic expeditions, trips to see Arctic wildlife, and hiking trips. We can assist you in your tour planning, help you with rental gear and make your wildest expedition dreams come true. Experience amazing East Greenland at 70 degrees North. The Ittoqqortoormiit area has it all: the world's biggest fjord system, the world's biggest National Park, the warmest hot springs in Greenland, and Milne Land - the second biggest island in Greenland. If you are looking for the true, remote wilderness, this is the place to go. the email problems of the past few months. Diary and photos from Thomas&Louise's visit to Ittoqqortoormiit , summer of 2010. See Thomas' amazing photos and read about their sailing trip around Milne Land onboard the icelandic vessel "Hildur".